Here's another reason why you should consider getting a cat. 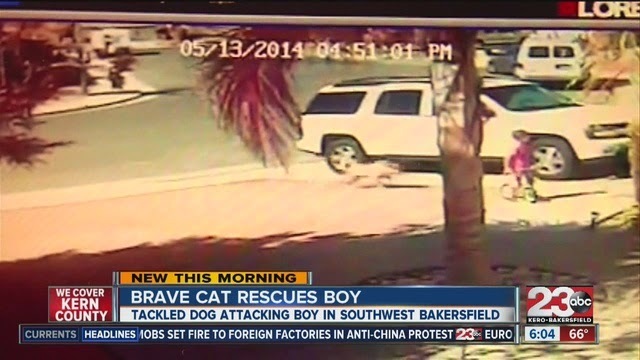 A boy who was biking around their house was viciously attacked by a dog. Luckily, his cat came to the rescue and chased the dog away. The vicious attack was captured on a security camera. If not for the cat, the boy whose name is Jeremy may have been seriously hurt. His leg which was bitten by the dog had to be stitched in two places.